The August Bank Holiday weather, of 1914, reflected the political climate. Heavy rain was interspersed with periods of sunshine. Similarly, shadows of anxiety were offset with feelings of intoxicating patriotism. The editor of the Glamorgan Gazette, following Lord Kitchener’s call for 100,000 to join the colours on 11th August, was motivated to compare recruitment in Bridgend with that of surrounding districts. Within two weeks, the number asked by Kitchener had been raised; which is not surprising as the Garw had raised 200, Ogmore 200, and Bridgend itself 115. However, his enthusiasm to encourage men to enlist had led him into areas of ignorance. The editor remarked that as Porthcawl had only managed a dozen recruits, it was hoped that the town would eventually ‘rise to the occasion.’ Within a week, he was to withdraw those remarks as he had failed to understand that, as a garrison town, many men were already registered National Reservists and Territorials. Further, several men had travelled to the Central Recruiting Station in Cardiff to enlist. In fact, by 5th August, in response to the proclamation for general mobilization, Porthcawl had witnessed the decampment and departure of 3 Army Battalions and 6 local Naval Reservists; including James Pearce, William Hodgson and David Ockwell, who were to perish when ‘HMS Goliath’ was sunk in the Dardenelles, on 13th May 1915. On Thursday 13th August, following the initial military mobilization of the previous week, a meeting was held at the National School, Lias Road, calling for Local Municipal Volunteers. In response, 24 Special Constables, 120 Coast and Channel Watchers and numerous Local Reservists were sworn in, to protect mines, railways and to attend musketry drill, in the case of invasion. Even ladies and gentlemen who were prepared to act on a local Distress Committee, for future deserving cases, were invited. Patriotic Porthcawl’s response was prompt and committed. Ladies of the Red Cross and members of the National Reserve Ambulance Corps, both under canvas at the Rest Home, unanimously answered the call for voluntary service both at home and abroad. Patriotic fervour was, further, manifested at the Pavilion on the following evening, when the orchestra played the British, French and Russian national anthems. Such was the enthusiasm that the audience insisted on frequent repetitions. Of course, whilst such beliefs prevailed, the German Army had routed Brussels on 20th August, and had continued to occupy Antwerp and Louvain in subsequent weeks. Porthcawl’s first casualty, Private Charles Neill Chambers, 1st Battalion, Dorsetshire Regiment, had landed in France with the B.E.F on 16th August. His regiment was soon involved in the first major battle of the war. The Battle of Mons . According to records, Private Chambers was last seen on 26th August, at the Battle of Le Cateau in which the B.E.F lost 7,812 men. Yet, his official date of death was given as 22nd October 1914. This anomaly highlights the poor lack of communication and prevailing chaos that was to impede military procedures throughout the war. Private Chambers’s mother, Mrs Ann Chambers of 5, Railway Terrace, Porthcawl, was not to be officially told of his death until June 1916. Such was the volume of enthusiastic recruitment that at Cardiff City Hall on 7th September 1914 a sub-committee of the Glamorgan Territorial Association held a meeting to find a solution to the lack of accommodation at the Army depots for all the new recruits, although it was felt that nothing should be done to ‘check the patriotic eagerness.’ Porthcawl was suggested for the new central camp, as it had a direct water supply to the ground at West Farm, Nottage, a rifle range and tent accommodation for 5-7000 men. However, after all preparations had been made, instructions from the War Office stated that the camp was to be indefinitely postponed. As a consequence Mr. Thomas, of West Farm, wished the piping to be removed. This the authorities promptly did at a cost of £11. It would seem that the secretary of State for War already had different ideas, as a letter dated 14th September, had been circulated throughout the country appealing to County and Urban Councils to assist ‘in the accommodation and suitable catering provision for the recruits.’ Resulting from Mr. David Lloyd George’s appeal for a Welsh Army Corps of 50,000 men, within a month householders were to be paid 17/6d for everyman they billeted. Before the New Year, Porthcawl residents were to complain that their hospitality was being overstretched. Nationally, volunteering for the armed services was outstripping availability, yet recruitment for coastal defence was suffering as a consequence. 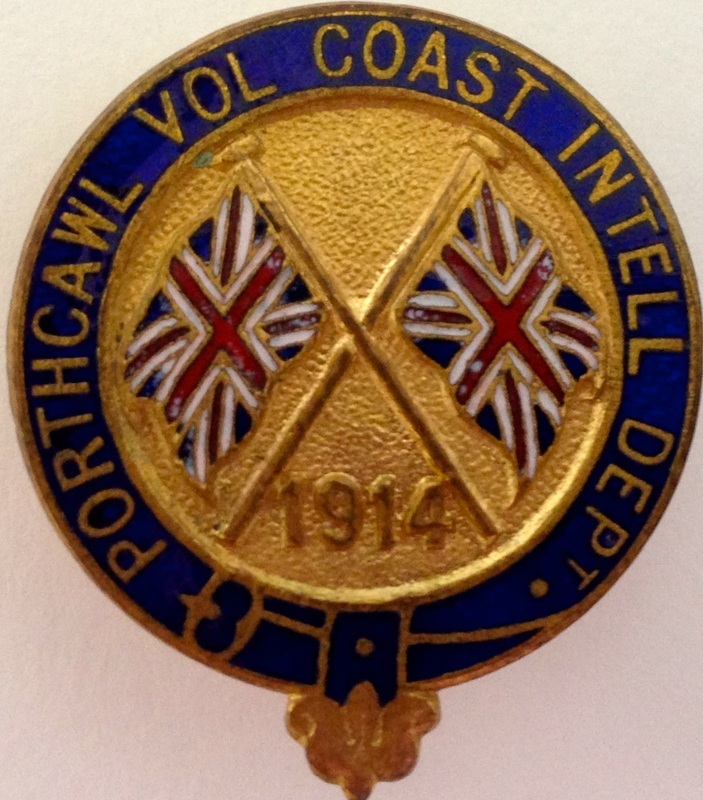 Patrolling the coast from the mouth of the Ogmore River in the east, to Kenfig in the west, the responsibility of The ‘Porthcawl Volunteer Coast Intelligence Department’ was still required.’ In an attempt to encourage volunteers to join, a special badge was struck for the coastwatchers, to be worn when on duty and the old pilot watch- tower was adapted for the purpose at a cost of £12. Perhaps Mr. Bob Ching would have been wiser, and of more use to the war effort, if he had joined the coast-watchers at Porthcawl. Instead, Bob, 65, from Railway Terrace, Porthcawl, having been turned down at the recruitment office on account of age, headed for Belgium. Returning, slightly wounded, he explained that after ‘seeing a Belgian wounded, I collared a gun and popped at the Germans.’ According to Bob, he was then taken prisoner. He stated, ”With a cleaver I knocked down several of them. I managed to escape by crawling for 4 hours.” On 8th October he left again for France, stating that this time he was going to avoid Belgium. ‘Bob’s Adventure’ as the ‘Porthcawl News’ reported it, seems so implausible to us today, but it served to maintain a belief in British superiority and spirit, which was typical of the time. Can Bob be believed? Research proves that Bob had already done a similar thing during the Boer War. Bob died in December 1917, at his home in Porthcawl. A true character. Bob’s reference to wounded Belgians, though, is totally correct. It was during September that local newspapers began reporting on the atrocities in Belgium. Belgian journalist, Mr. Charles Sarolea , who a month before had accompanied the Foreign Tourism Delegates to Porthcawl, had become the ‘Daily Chronicle’s” special correspondent in Antwerp. “I have just lived through the most tragic night of the war,” wrote Mr. Sarolea, witnessing the bombardment of the city. He, sarcastically, reported that Count Zeppelin must be “proud of his achievement.” Not only had the bombs slaughtered innocent Belgians, but the bombs, that had fallen on hospitals, had killed injured German soldiers too. In Porthcawl, attention was taken up by the perceived threat of ‘Aliens.’ A Mr. J. Engelhard, Marine Terrace, who had lived in Britain for 23 years, along with many other ‘alien’ nationalities now had to explain himself to the authorities. Whereas, PC Trott, who was, to later enlist in the Welsh Guards, was on duty at Newton, when he arrested ‘ two aliens of the sea-faring type.’ Claiming not to be Germans, but refusing to say from which country they originated, they were detained at Porthcawl Police Station overnight. The next day, Police Sergeant Richardson handed them over to the Aberavon Police, to be dealt with. It is not surprising that there was an increased state of anxiety amongst the townsfolk, as reports following ‘The Battle of Mons’ filled the news; and soldiers’ letters had begun arriving from the front. At 8.10 pm, on 9th October, the train bringing the first 29 Belgian Refugees to Porthcawl, pulled into the railway station to enthusiastic cheers. In early September, Porthcawl, as with many Councils in the country, had offered a home to the refugees, as soon as their plight was made known. Fleeing the advance of the German Army through Belgium, 250,000 refugees sought refuge in Britain during the war, with approximately 6000 coming to Wales. Many towns and villages wanted to play their part in the war effort and helping ‘Plucky little Belgium.’fulfilled that desire. Further, David Lloyd George had referred to Belgium in a speech, promoting the ‘rights of little 5ft nations,’ which found a special resonance with the Welsh people. The first refugees to arrive in Wales arrived in Cardiff on 2nd September. By the middle of December, nearly 4,500 had been received and accommodated throughout the principality. By the end of October, the 17 males, 19 females and 20 children (56 refugees in total) that had arrived in Porthcawl, were temporarily billeted throughout the town in 10 homes. On 26th October, The Porthcawl Rest Home received 29 male Belgian Refugees, paid for by Pentyrch and Cardiff Refugee Funds. These men, sought refuge in Britain as a result of the Belgian government encouraging men to leave Belgium to avoid possibly working for their German captors. 26 of these men were, later, transferred to the Southerndown Rest Home, the following January, whilst one Peter Sprengel, from Ghent, remained to look after the boiler, and Henri Van Niewrwenhuzze, and Charles van Vaerenbergh, from Sint-Andries , near Bruges, returned home to join the Belgium Army. 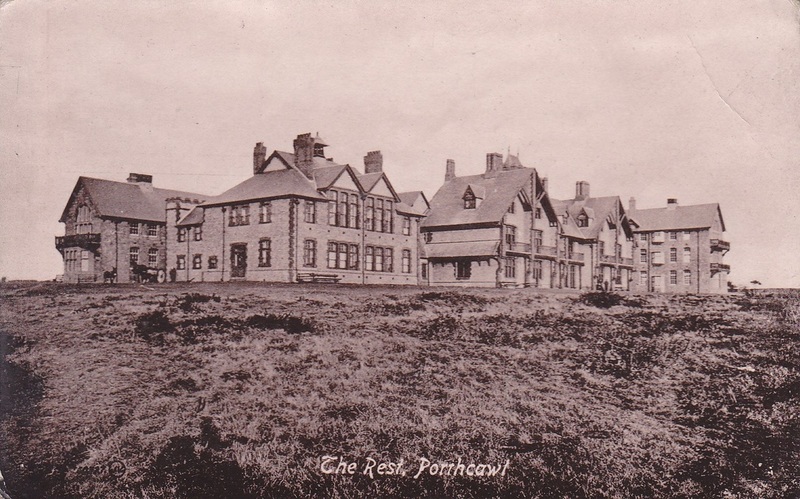 Within a month, offers to house the original 56 Porthcawl town refugees, in their own furnished accommodation, was sought from local residents. A local Belgian Refugee Committee was set up to manage their welfare and the much needed Refugee Fund. A variety of charity events, plus agreed weekly subscriptions, helped to raise the money needed to support the refugees in accommodation, food, clothing and transport. The children were placed in local schools, the refugees were welcomed at Waddle’s Hall Catholic Church, the local newspapers ran a weekly Flemish column, and the men were soon to be found employment. One of their most memorable creations, which has since become a lasting legacy to their craftsmanship, are the choir stalls at All Saints Church. Later in 1920’s, remembrance plaques to the fallen, were to be added. For the rest of the war the refugees integrated seamlessly into Porthcawl life, whilst striving to maintain their own culture. The refugees are reported in the local newspaper as leaving in February 1919. The rest of the news for October, reported in the press, followed in the wake of the Belgian refugees’ arrival. Yet it is nonetheless interesting to modern day readers. 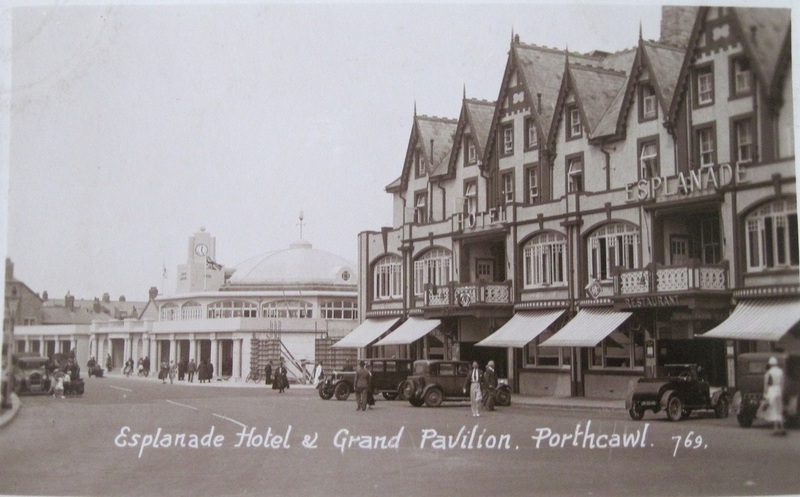 The Pavilion, states that having found it difficult to ‘obtain good companies’ Mr. G. Darrell, manager, had purchased an ‘electrical plant, together with appliances, for the projection of high-class pictures.’ (’Porthcawl News’ October 1914.) Belgian refugees enjoyed free entry, to the Pavilion, throughout the war. On Friday, 23rd October, Private Wally Mertz, Cycle Corps, left for the front . Having survived Gallipoli in August 1915, 2nd Lieutenant Walter Mertz, now of the Royal Engineers, was killed in 1916. Whilst seeking billets for his men in Northampton his motorbike collided with a police car. Walter Mertz was of German descent. November, 1914,began with the sad news that 2nd Lieutenant John William Harfod Nicholl, 2nd Battalion, Welsh Regiment had been killed in action on 29th October prior to the 1st Battle of Ypres, aged 22 yrs. He is commemorated at the Menin Gate in Ypres. 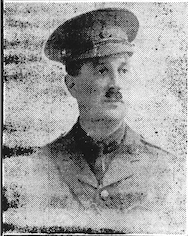 Although, Lt. Nicholl had been the heir to the Merthyr Mawr Estate, his death would not only have been received with deep regret in the town of Bridgend but, also, in Porthcawl where his father Lt Col J.I.D Nicholl, as officer in command of the Glamorgan Yeomanry, was often to be seen in camp during previous summers. Local reports of dead and wounded were becoming an all too common occurrence in the press. Porthcawl, itself, was not yet to lose a man; however, within the month Bombardier David Coleman Williams was home having been severely wounded. Bombardier Williams, R.H.A, had enlisted in 1910 as a reservist, yet was honourably discharged in February 1915, as a result of his wounds. Eventually, he wore a wound stripe from 1916, being the year of its inception to honour men who had been wounded in combat. He was finally awarded the “Silver War Badge,” in May 1918. Also, in 1918, after many attempts to secure a pension, he was awarded 24/- per week, for a period of 13 weeks. Life must have proved all the more difficult for Bdr. Williams, as he actually was a coal merchant by trade and had limited movement in his right arm. The main excitement affecting the town, in November, was the arrival of various battalions of the new Welsh Army Corps. In response to Lloyd-George’s appeal for a Welsh Army, men all over Wales flocked to the colours. “I should like to see a Welsh army in the field. I should like to see the race that fought the Normans for hundreds of years in their struggle for freedom, the race that fought for a generation under Glendower, against the greatest captain in Europe, I should like to see that race give a good account of itself in this struggle and they are going to do it.” Amidst the formation of many battalions, inspired by this speech, were the Rhondda 10th and 13th Battalions, Welsh Regiment. The 13th Battalion, 2nd Rhondda Pals, were divided into two units for training purposes. Approximately, 700 were sent to Rhyl; and on 23rd November, over 900 men were sent to Porthcawl under the command of Colonel Pearson. Training was observed at Porthcawl daily, between 7am – 4pm along the Esplanade and up to Lock’s Common, “where there is a capital field range.” The households that agreed to billet the men received 15/- per man. Following on the heels of the 13th Battalion, was the 16th (Cardiff City) Battalion, Welsh Regiment, who arrived at Porthcawl on 27th November 1914. Under the command of Captain Frank Hill Gaskell, they were billeted with friends, in a continuous row of houses at a cost of 23/4d per man. One soldier writes home, ”We are billeted in the best of houses, we receive the best possible food to obtain, and sleep in beds fit for any gentleman to sleep in.” ( Glamorgan Gazette 11th December 1914.) The discrepancy of billet costs was not lost on local residents. After much discussion a fixed payment of 17/6d per soldier was agreed upon, regarding billeting, for the rest of the war. Captain Gaskell from Llanishen, had already served with the 2nd Battalion, Welsh Regiment at the front, during which time he was shot in the jaw. It was whilst he was home, convalescing, that he was asked to command the new 16th Battalion, Welsh Regiment raised at Cardiff. Promoted to Lieutenant Colonel , Gaskell had already forged links with Porthcawl during previous years. 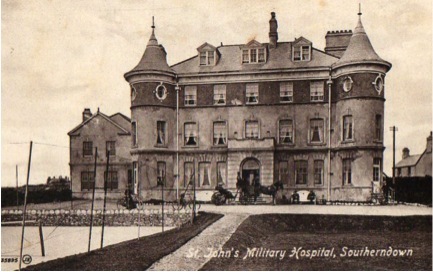 Not only had he rented a house at 3 Esplanade Avenue with his wife, Violet, had his daughter Mary christened at the local Catholic Church in 1913; but in that same year had accompanied Major John Lambert , a former Chairman of Porthcawl Town Council ,in a town recruitment drive encouraging ex-servicemen to enlist in the reserves, should there be a war in Europe. Therefore, along with Porthcawl’s reputation as a well-established garrison town, it was not surprising that he wished the 16th to be transferred to Porthcawl for initial training. During this time of rapid recruitment, it is interesting to note that a missive from the War Office stated that soldiers on duty would be able to converse in their native tongue but that all orders would be given in English. Aside from military matters, townsfolk were alerted to the possibility of Zeppelin raids and were advised to draw their blinds after dark. School children were taught to knit and sew items to send to servicemen serving abroad and Boy Scouts, apart from helping the coast watchers, were encouraged to collect up all waste paper for the war effort. The war, it seemed, would not be over by Christmas. Bombardier Williams's 'Silver War Badge' certificate. The shelling of Hartlepool, Whitby and Scarborough from German warships on 16th December 1914, was referred to in the ‘Porthcawl News’ as a new type of German warfare; firing on undefended coastal towns. Porthcawl was beginning to feel vulnerable, yet, with a sense of relief, it was commented that “it is a long way round to Porthcawl.” Nevertheless, it is evidence that events experienced in different parts of the country, were clearly empathized with nationwide. 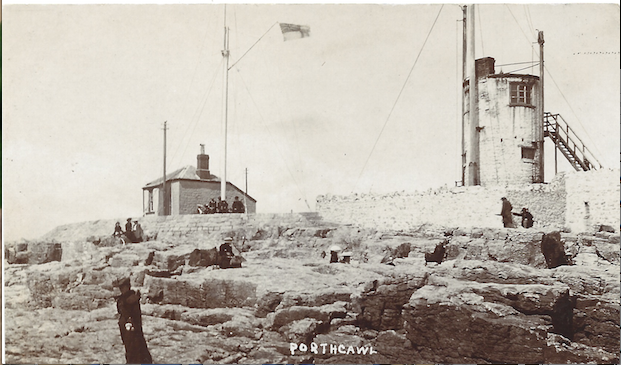 Although Porthcawl was well away from attack, its involvement in the war was ever present. Huge numbers of recruits arrived daily into the town. By mid December, the following battalions had, collectively, swelled their ranks to 1,256 men. The 13th Battalion, ‘2nd Rhondda Pals’, The 16th ‘Cardiff City’ Battalion, the Army Service Corps, Royal Engineers, Royal Field Artillery, and the Royal Army Medical Corps. 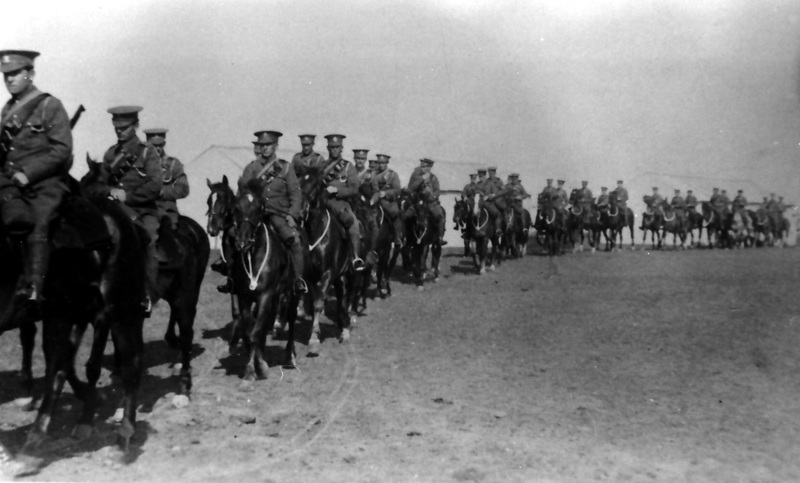 The total numbers required for these units would eventually total 5000 men by February 1915. Interestingly, two brothers were amongst the officers. Major John L. Lambert of 8 Newton Villas, Newton, a past chairman of the Porthcawl Urban District Council, was attached to the Army Service Corps, whilst his brother Harry was attached to the Royal Field Artillery. Lieutenant Harry F. Lambert was to survive the war, but sadly, ‘Jack’ died from peritonitis, on 19th October 1916, whilst on active service in France. Before the year was out a new phenomenon, the ‘Bantam Battalions’, were to begin arriving. As a result of heavy casualties at Mons, Marne and Ypres it soon became apparent that the height restriction of 5’6”, limited enlistment numbers. In December this restriction was removed. Consequently, men of shorter stature were now able to join the colours. The 17th Battalion, 1st Glamorgan Bantams, began enlisting on 22nd December at Porthcawl. 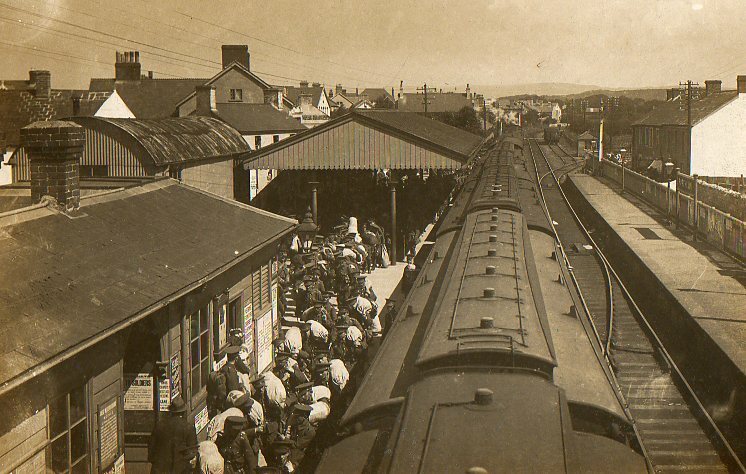 By 5th January 1915, when the new recruits left Porthcawl for training at Rhyl, it had completed its target of 1024. It was one of the fastest recruited battalions to reach maximum strength. One particular recruit deserves mention. 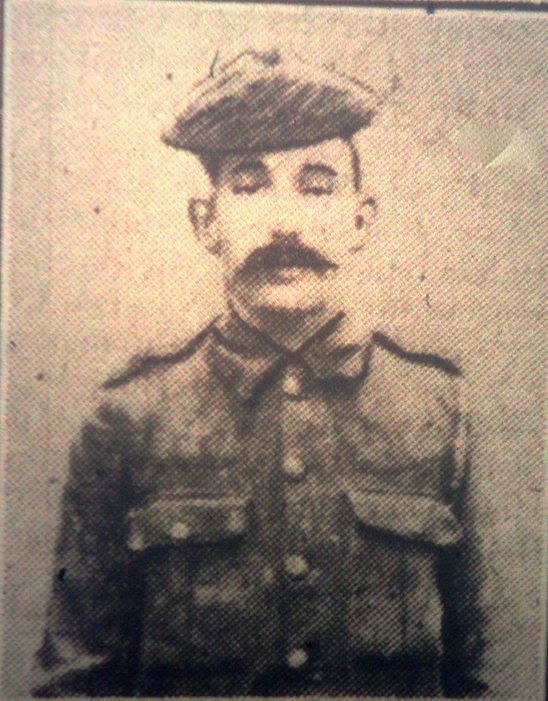 Private David James Watts, a farm labourer from Nottage, who was one of the first to sign up on 22nd December, at the recruiting office in the Porthcawl Police Station. David, 20 years old, was 5’1” tall, weighed 8st 5lbs with a chest expansion of 34”. Within 5 months he was discharged due to having Reynards Disease, which restricted his ability to hold a rifle in cold weather. Not to be deterred he went to Cardiff and on 19th July , enlisted into the 3rd Battalion, Welsh Regiment. Unfortunately, he was again discharged, siting the same reason, on 12th November 1915. Having enlisted twice, which was against the law, one would assume that it was the end of David’s attempt to join the colours. However, whilst searching the archives at Porthcawl Museum, I came across some P.U.D.C Certificates. Accompanied with a silver medal, these certificates had been presented by the council, to either the families of the fallen, or to the serviceman on his return, of every combatant from Porthcawl who had served in the war. 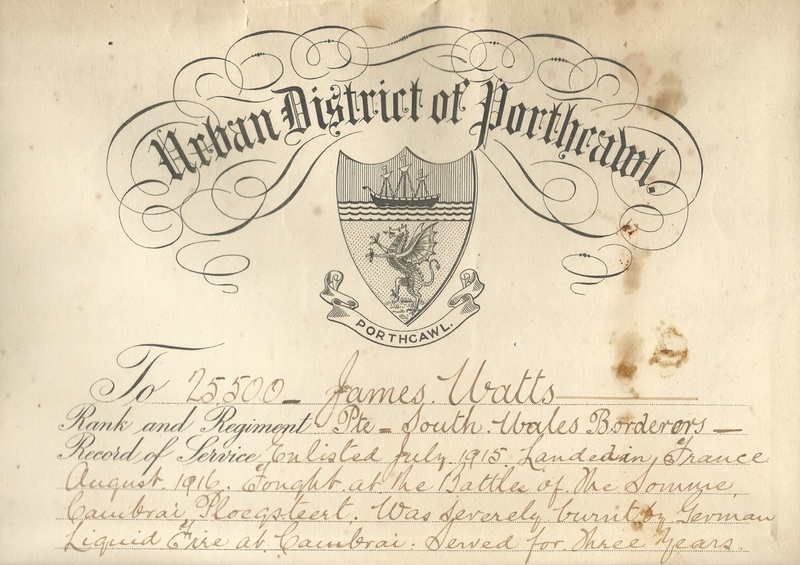 There in a drawer I found the certificate of a James Watts, now in the South Wales Borderers, who had served at the Somme, Ploegsteert and had been flamed, by liquid fire, at Cambrai. Meeting his granddaughter, Sandra Wrenn , this summer, confirmed that it was the same David James Watts who had tried, so unsuccessfully to enlist twice before. Sandra, remembers how he could put his injured arm into a coal fire without feeling any sensation. It can certainly be said of Private David James Watts that he was 5’1” of courage and determination. The first battalions to leave Porthcawl, in December, for training in North Wales were the 13th Battalion, 2nd ‘Rhondda Pals’ and the 16th ‘Cardiff City’ Battalion. However, a week before their departure they faced each other, on the Mercies Field, off New Road, in rugby and soccer matches. The ‘Rhondda Pals’, were victorious in both; rugby 20pts – 6pts, association football 3goals to 1. The two battalions were to meet again, as part of the 38th Division fighting at Mametz Wood, in July 1916. The troops that were billeted in Porthcawl were afforded much attention and support. The entertainment halls offered reduced admission prices, church groups opened up their premises, in the evenings, for refreshment and social functions and the Y.M.CA provided French lessons in readiness for their time abroad. Mr. Wolters , the Belgian interpreter, was the teacher. Following the giving of sweets and a toy to every Belgian child on St Nicholas Day, Mr. T.G Jones presided over the Joint Relief Fund Committee, involved in the Christmas preparations for the families of servicemen and Belgian refugees. Mrs. Charles Morris and her ladies group organised a Christmas Tree and Treat evening for over 250, to be held on 31st December. Comley’s restaurant was to provide the tea; and the Esplanade Hotel was to hold the Christmas Tree and present giving. However, all did not go without a hitch. On 30th December, Mrs. Morris was informed that due to the arrival of men, wishing to enlist in the 17th Battalion, the hotel was no longer available. 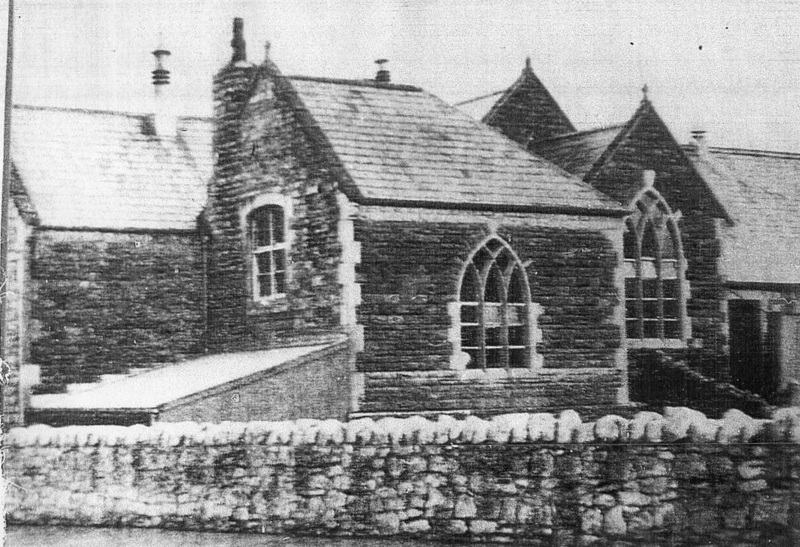 Fortunately, the old Iron Church, which had been sold to the parish of Maesteg, in preparation for the new All Saint’s Church to be built, had not yet been removed. Permission was given,by the Rev. T.Holmes Morgan, to use the church for the Christmas Tree evening. The event had been saved. 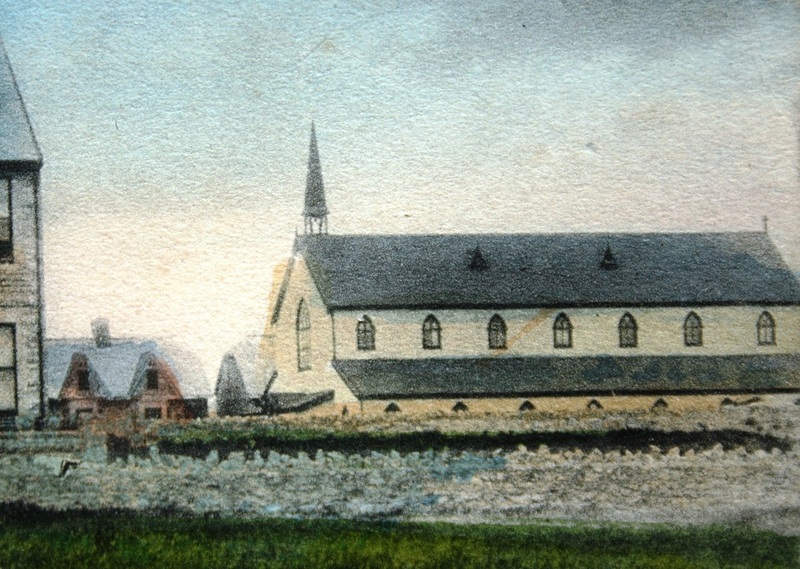 The Iron church was removed two weeks later. Finally, the Porthcawl Intelligence Coast Watchers Department, mentioned in previous articles, was disbanded in December. 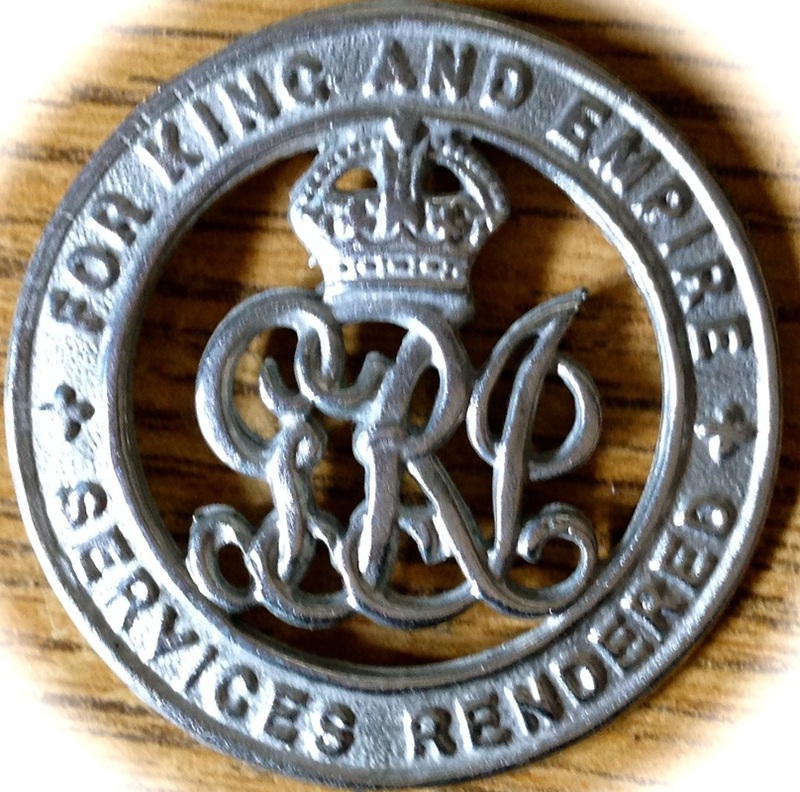 It became, instead the Porthcawl Volunteer Corps, to be affiliated to the London Central Volunteer Training Corps. Local defence was becoming a nationally centralised operation. Private Watts's Porthcawl Urban District Council certificate. The 'Iron Church' which preceded All Saints Church. Join me next month to read how the 18th Battalion, 2nd Glamorgan Bantams, become part of Porthcawl life to such an extent that after the war their standard was presented to,and still hangs, in All Saint’s church today.